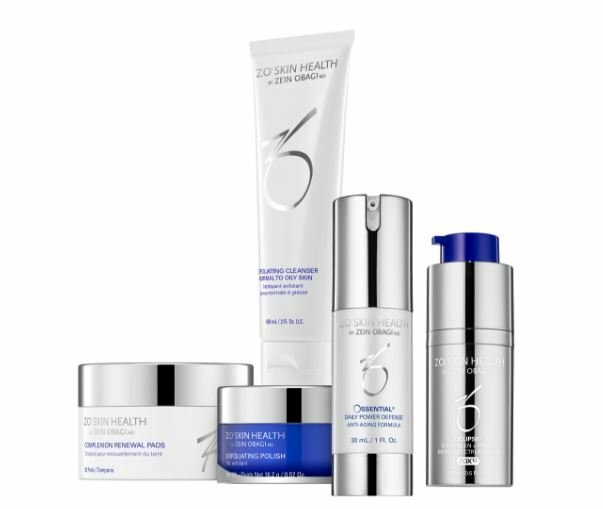 ZO Skin Health is a cutting-edge skin care line designed and formulated by Dr. Zein Obagi, a world-renowned dermatologist. This comprehensive, innovative product line is designed to bridge the gap between therapeutic treatment and over-the-counter beauty products. Contact us below to learn more about how we can help you create a tailor-made skincare routine with ZO Skin Health, or stop in to our MedSpa to pick up some products! For easy ordering, you can also click the image to the right to order your favorites online. What cleansers do you carry? What exfoliaters do you carry? What toners do you carry? What anti-aging products do you carry?